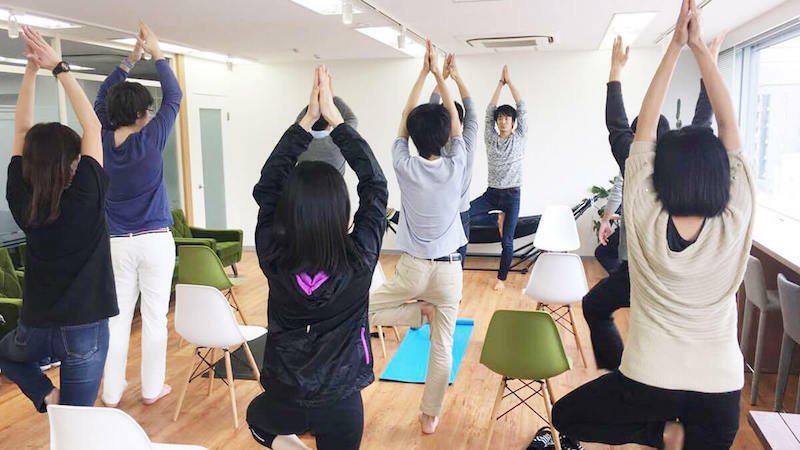 FLARE PLUS has small and cozy studios in Tsukuda Chuo and in Shirokane Minato Tokyo. We provide 2 types of class, Private Class and Open (Small Group Public) Class, for your self-development. At-home and at-office lessons are also available. No admission fee or annual fee. Please contact us and book a class. You can choose any classes for trial. for 2 persons ¥ 4,000 p.p. for 3 persons ¥ 3,000 p.p. for 4 persons ¥ 2,500 p.p. for 2 persons ¥ 5,000 p.p. for 3 persons ¥ 4,000 p.p. for 4 persons ¥ 3,500 p.p. 90- min long lessons are also available. In the studio, we lend yoga mat (Manduka Pro mat), block, and belt for free. 6-20 persons + ¥ 600 p.p. 6-20 persons + ¥ 900 p.p. 6-20 persons + ¥ 1,200 p.p. No admission fee or annual fee. Trial fee applies only to "First Time Attendees" regardless of ether Private Class or Open Class. ★★★ are indicate the exercise intensity. are Dosha Types. If you couldn't find which class is fit for you, please come to プライベートクラス(Private Class). Yosuke Takahashi is CEO of FlareWorks Inc. From 2009, he has been involved in many projects of startups and historic companies as designer and front-end web developer. In 2015, he finished the training at the certified school of Yoga Alliance, and started the career as yoga instructor. In 2016, he received the advanced certification in South India. 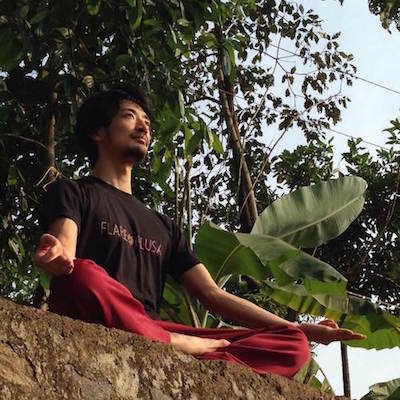 With continuing the job as designer, Yosuke is studying and sharing the way, based on Yoga, Pilates, Ayurveda, and Meditation, for physical/mental healthcare especially for the people concerned in IT. *Before contacting us, please confirm our terms of service. *Reservation has not be done yet when you sent message, please wait our reply.